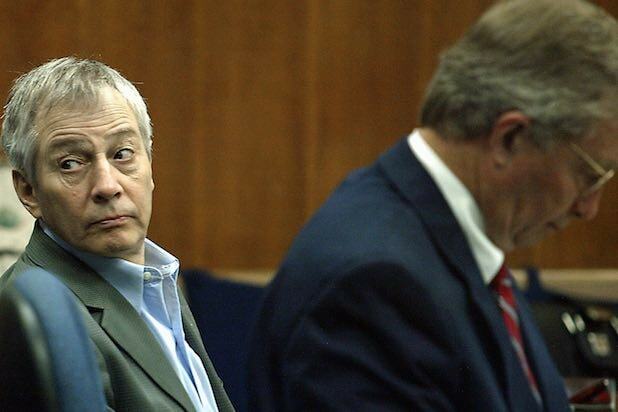 Robert Durst, the subject of six-part HBO docuseries “The Jinx: The Life and Deaths of Robert Durst,” has waived extradition and will return to Los Angeles to face a murder charge for the 2000 shooting of Susan Berman, Durst’s attorney told TheWrap. Durst was arrested in New Orleans on Saturday, and appeared before a Louisiana judge on Monday to formally waive extradition. On Sunday, HBO aired the series’ finale, during which Durst can be heard mumbling what sounds like a confession to three murders while using the bathroom with a live microphone attached to him. Before Durst uttered a possible admission of guilt, director and producer Andrew Jarecki showed Durst a never-before-seen letter discovered by Berman’s stepson, Sareb Kaufman. Kaufman said the letter, which he believes Durst sent to Berman a year before her death, carried similarities to an anonymous note sent to police the day Berman died — a letter authorities say only Berman’s killer could have written. Jarecki said on Monday that the timing of Durst’s arrest was unrelated to the audio clip featured in the finale, but he had been in contact with investigators throughout the production, and told the authorities he felt Durst should be arrested. “We’re not in charge of the arrest timing, and we had no idea of the arrest timing,” Jarecki said during a “Good Morning America” interview. Durst’s attorney, Chip Lewis, told Fox News personality Judge Jeanine Pirro on Sunday that he was “underwhelmed” by the audio, and does not believe it is proof he committed the crimes he has been accused of. Pirro, however, said on Monday that she believes Durst’s words are enough to convict him. Jarecki, who also directed Ryan Gosling as Durst in 2010 drama “All Good Things,” told “CBS This Morning” that Durst knew the microphone he was wearing was still on when he began talking to himself in the bathroom. Durst was also charged in the 2001 shooting death and dismemberment of Morris Black — Durst’s neighbor in Galveston, Texas — but he claimed self-defense and was later acquitted. It is also suspected that Durst was responsible for the 1982 disappearance of his wife, Kathleen. “The Jinx” led the Los Angeles district attorney to re-open the investigation into Berman’s death last week.